Our courses are meticulously designed to bring together the best techniques and practice – we are constantly researching and developing the courses to ensure our technique is thorough, efficient and above all humane and gentle towards the cat. 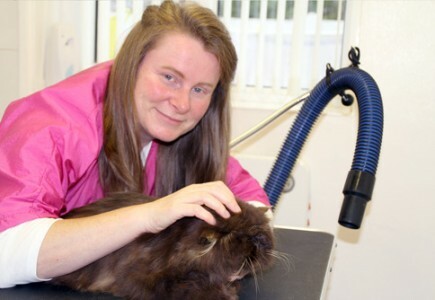 It is because of this that we continue to be the premier cat grooming training center in the UK. Full-time or part-time, the Cat Grooming School offers a choice of flexible options to suit your circumstances and long-term goals. Our courses are challenging, intensive and rewarding, and are designed for people from all different backgrounds. 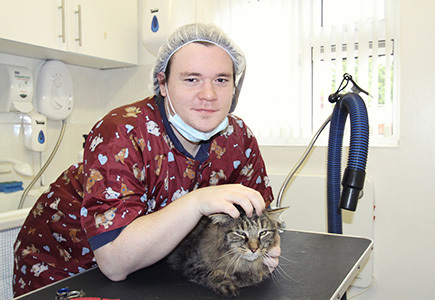 Students learn the skills needed to either groom their own cat or to set up a cat grooming business within this highly specialised profession. Courses take place in groups of one or two. As the largest cat grooming school in England, we are fortunate to have a diverse selection of cats to work with in the classes and each student is paired up with a cat – so there is no need to share. We guarantee two or three cats per student per day, providing students with a wealth of experience and personal attention. This unique and intensive study method allows students to develop their skills quickly and efficiently, under the guidance of cat grooming experts and working professionals.